In a letter to members of the Senate Commerce Committee, Google acknowledged that it allows app developers to scan and compile details from Gmail messages, including details about purchases, travel, and which other people users interact with. Google says as long as apps clearly disclose this collection they are free to request access to and use Google user data elsewhere. The spread of misinformation, the Cambridge Analytica data privacy scandal and the EU’s General Data Protection Regulation (GDPR) have put tech firms in the legislative spotlight. In response, Google, Facebook and other online companies have made changes to privacy settings and controls over the use of personal information and data available to tailor ads, among other things. Google itself stopped scanning Gmail content for ad targeting in 2017. There is still skepticism on both sides of the political spectrum that these companies are operating in users’ best interests. The prospect of regulation is putting pressure on their common business model of leveraging user data to sell ads. That could have further repercussions for the ways advertisers target campaigns. Next week, the Senate Commerce Committee will have a hearing on data privacy practices with privacy officials from Google, Apple, Amazon, Twitter, AT&T and Charter Communications. Google’s Gmail disclosures are certain to be among the topics discussed. 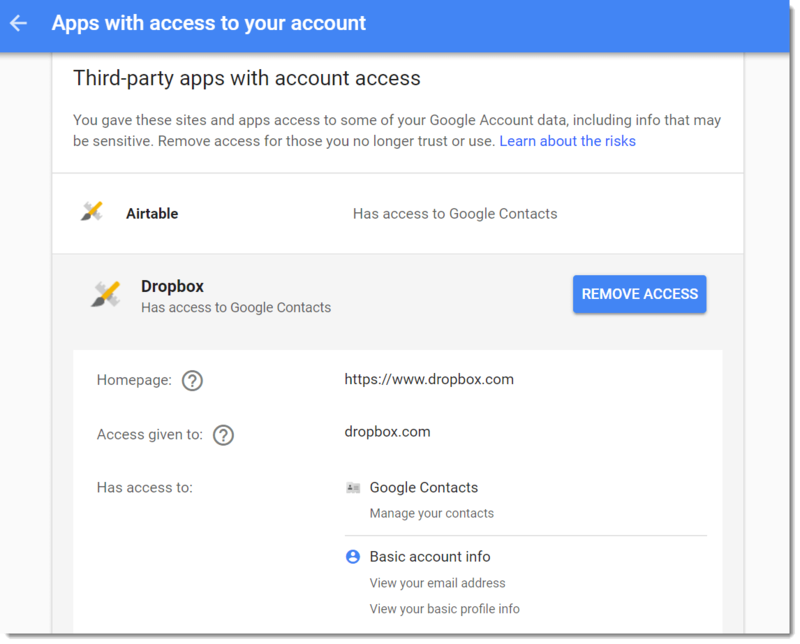 In most cases users must either accept everything an app requests permission to do — such as view, manage and permanently delete your mail in Gmail, create, update and delete labels, compose and send new email — or cancel the installation.